The reading of “Brutus and Other Heroines” in January was prompted by gender and representation dispute. 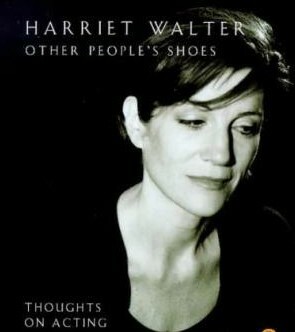 It was also a reminder that Harriet Walter is author of a book on acting. “Other People’s Shoes. Thoughts on Acting” dates back to 1999 but has been reprinted several times. Like Simon Callow's “Being an Actor” Harriet Walter's book on acting holds up well. Stage acting awes and the more it is viewed the more it awes. To read about it is like one of those fractals devised by Benoit Mandelbrot. To home in on a detail of the complex patterning does not make it simpler. It just yields a new complexity, albeit at a closer level. Which is not to mean that books by actors are not worth reading, because they are. The good ones have the effect of making the awesome more familiar, even if no less awesome. The clue is in the word itself. Acting is that- it is a sequence of acts over time and across space. Language is a different category, a symbol-rendering, encapsulating, abstracting process outside time and space. When writing turns to acting, it can only aspire to be a rough simulacrum. The genesis of every actor is its own. The book is not an autobiography but she is sharp on the differences and the commonalities in her parents. “What they also shared was a well-concealed but deep lack of self-confidence.” The adult child sees a common cause: “both had a dominant parent who had given them a sense of failure.” The effects of separation and private school in her own experience are dealt with economically. She writes of the elasticity of the teenage persona: “I started to capitalise on my versatility, being one thing to person, one thing to another.” Christopher Lee is revealed in a single line as an uncle. She adds an elliptical accompanying sentence. Lee's “own career, though relatively blessed, has never been anxiety-free”. These “Thoughts on Acting” are illuminating and informative; they are also engagingly likeable. It is a book that has deserved to last.